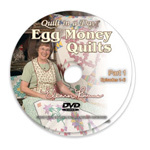 In preparation of our 40th Anniversary in 2018, we brought back this beloved Book, Egg Money Quilts. 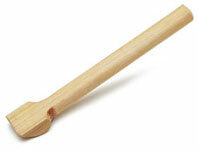 To date, this has been our second best selling book of all time (Log Cabin is number 1). 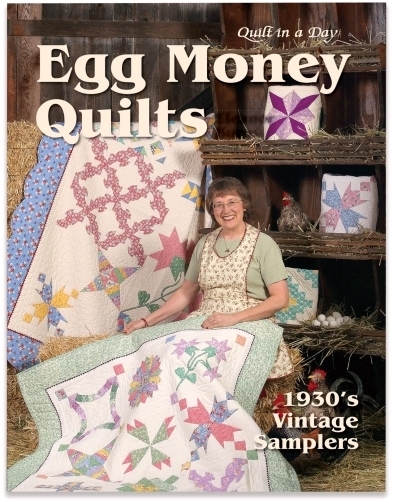 Before the 1940's, most eggs were produced on rural farms with small flocks that scratched their way around the barnyard. The farmer's wife was usually responsible for caring for her chickens and the money received from the sale of the eggs was hers. 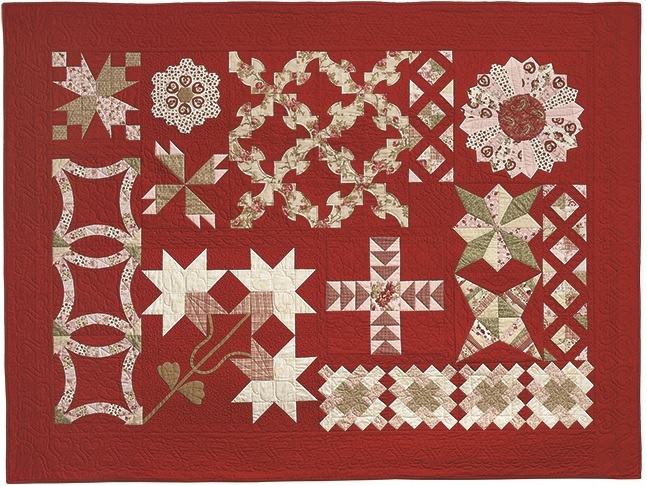 Surely, some fabric was purchased with this precious fund and from that came the quilt patterns uniquely associated with the Depression years of the 1930's. During a time of hardship in America, there were still many things for which to be thankful. 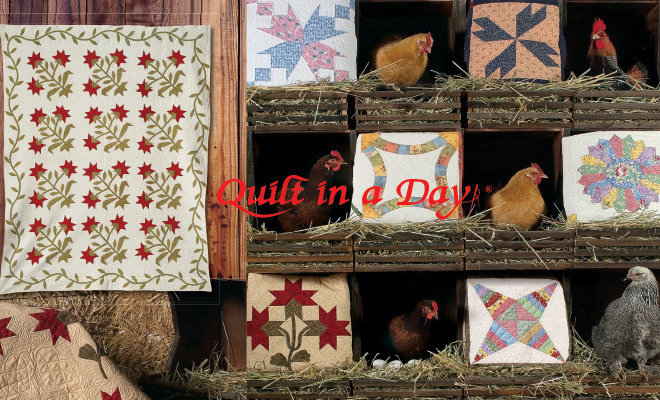 Life was simple, people neighborly, and quilts not only useful but also an extraordinary expression of imagination. Journey back to the times when milk was 14 cents a quart and bread 9 cents a loaf. 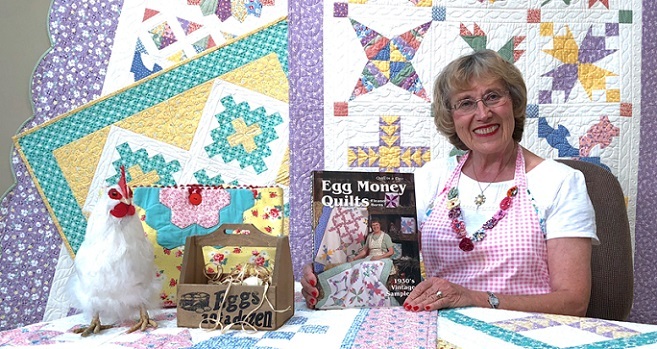 Egg Money Quilts is not only a collection of twelve vintage quilt block patterns with two layouts, but also a treasury of extra projects created from the blocks. Join Eleanor as she guides you through her techniques to re-create the flavor of the "good old days." 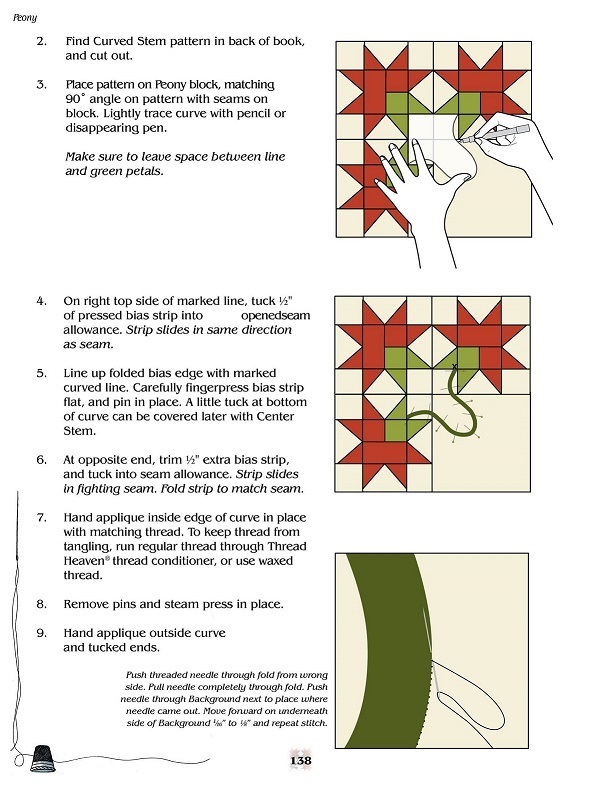 The book contains over 200 pages, in full color, with sample quilts, step by step instructions and illustrations, yardage and cutting charts, and assistance in fabric selection.